The holiday season is soooo crazy busy! With shopping, baking, blogging, kids sports, homework, holiday programs, decorating... it is hard to get a chance to sit down, right?! But the real importance of this season is not to get caught up in the hustle and bustle of the busyness. To me it's about spending quality time with the ones I love. Every year my husband and I say that we'll go out for a nice Christmas dinner just the two of us, but realistically with four little ones, the price of babysitting, the price of a nice restaurant... we ALWAYS decide to use that money on our kids' Christmas gifts instead. So this year I decided that I would give my husband what he really wants... a K-Y Date Night at home. Imagine his surprise when I handed him this stocking the other day. 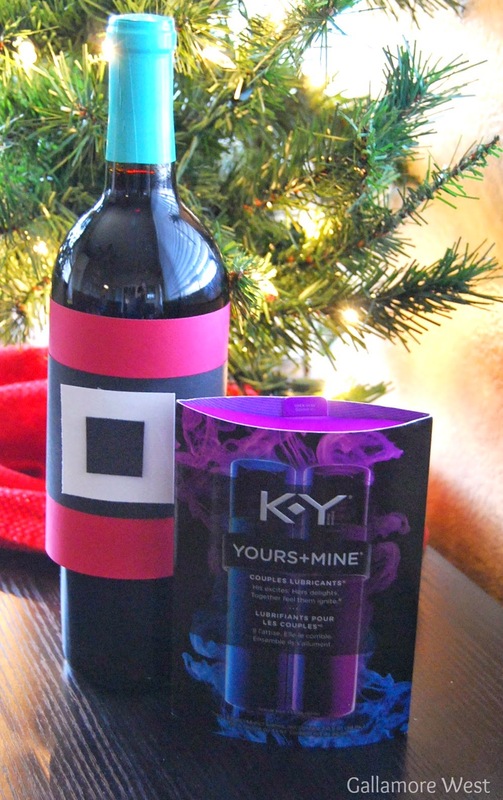 I filled the stocking with K-Y Yours + Mine, a fancy chocolate bar, a bottle of red wine, and a scented candle.His eyes sure lit up! He was totally thrilled that I thought to buy him something like this- something thoughtful and special for just the two of us. Time alone together is so rare and precious when raising a family full of little ones, so this K-Y Date Night In idea was exactly what we needed. A K-Y Date Night In is the perfect solution for us, and if you're a busy couple with lots of little ones like us, then a K-Y Date Night In may just be the perfect solution for you too. And you're in luck because there is a K-Y Date Night deal that is coming soon! K-Y Date Night (available at Walmart in Jan 2015) includes $50 value 1 free meal for two people from PEACHDISH.com delivered to your door for an intimate night of cooking together, a $5 VUDU movie credit for you to stream right at home and the pleasure of K-Y Yours+Mine Couples Lubricants. Perfect for a date night in! Check out the Date Night pack at Walmart.com for discreet purchasing. I even got festive with the bottle of red wine. I just cut red, white, and black card stock to make it a cute little Santa bottle. Looking to spice up your K-Y Date Night In? Light the candle, pour the wine, and give your man what he really wants for Christmas this year... you! 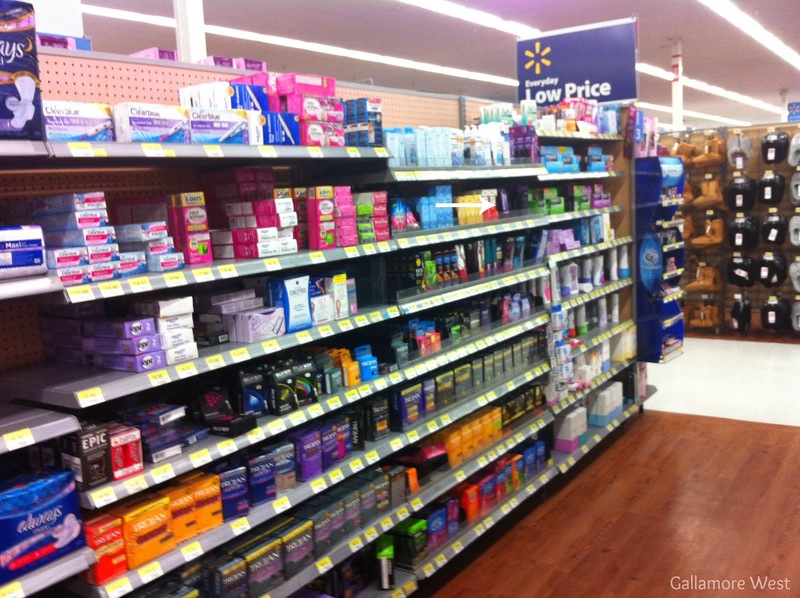 You can find K-Y in the "Family Planning" Section at Walmart. I totally left my kids at home with Daddy for this shopping trip so it's really a win-win. I got alone time while shopping, then a K-Y Date Night In at home! Get more information on K-Y Yours + Mine on the K-Y website.